Jean Plener and his daughter Maud follow the tradition of their preceding five generations in making Champagnes of undoubted quality. Their vineyards of 5.5 hectares are split into 18 plots in and around the Grand Cru village of Bouzy. Bouzy sits at the foot of the south facing slopes of the Montagne de Reims, elevated above the river Marne and just a ten minute drive from Epernay. These sunny chalky slopes provide the best conditions to grow grapes, especially Pinot Noir. 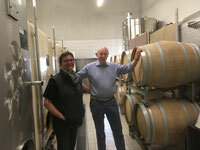 Jean and daughter Maud have vineyard plots scattered all over the Bouzy terroir. This is a real asset as it means their Champagnes enjoy all the differing aspects of the terroir. Bedecked with flowers the main roads of Bouzy converge on a crowded centre whose expansion has been curtailed by the presence of rows of vines worth more than any developer could ever offer. In a truly cooperative manner the Plener family shares the pressoir, vinification tanks and filtration equipment with five other local families. The key stages of secondary fermentation and ageing take place within the three levels of cellar hewn out by grandpere Plener underneath the family house. The Cuvée Brut and the Cuvée Reservée Brut are a combination of Pinot Noir and Chardonnay in varying proportions and the judicious use of previous year's wines. For the Rose they use 'Bouzy Rouge' (using Pinot Noir) to provide an intriguing and exciting alternative. 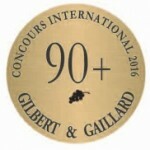 At Gilbert & Gaillard, the acknowledged french wine Experts, the Cuvée Réservée got a Gold Medal and scored 89/100. The Champagne Rosé also won a Gold Medal and scored 90/100. At international level, at the Decanter World Wine Awards, both Champagne Rosé and Cuvée Réservée won a Bronze Medal and scored 87/100. Produced from the Plener vineyards in and around the Grand Cru village of Bouzy. 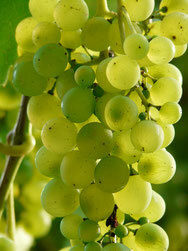 A brilliant yellow gold colour with fine and delicate aromas of fruits (peach, apricot), nuts and almonds. Smooth on the palate with a long finish, this Champagne is great for any occasion but ideal as an aperitif. Produced from the harvests of 2010, 2011 and 2012 and bottled in April 2013. Dosage: 8.8 g/l of sugar. Just 37.5 cl of Jean Plener Brut. Perfect as a little treat or reward. The proportions of 70% Pinot Noir and 30% Chardonnay are the same as the Brut but after bottling in 2009 the additional ageing enhances the bouquet of brioche, almond and hawthorn. A beautiful sandy coloured Champagne, it is a frank, smooth and creamy cuvée that highlights the aromas of dried fruit. This is complemented with a refreshing nutty finish. A great Champagne, long ageing in the cellar brings exceptional balance and aromas. This Champagne is ideal for a toast or real gourmet meal. A blend of 70% of Pinot Noir and 30% of Chardonnay. Produced from the harvests 2010, 2011 and 2012 and bottled in April 2013. Dosage: 9.6 g/l of sugar. A blend of 15% Bouzy Rouge 85% Plener Champagne Brut from the Plener parcels of vines around the Grand Cru village of Bouzy. A radiant and strong candy-pink colour. This Champagne has a floral and fresh nose with fine white fruits aromas and a touch of vanilla. Balanced and fine on the palate, the generosity of its fresh fruit aromas is impressive. Combining the strength of Pinot Noir with the delicacy of Chardonnay, this Champagne has a real character. Ideal as an aperitif or to accompany a dessert. 15% of Bouzy Rouge (aged in Oak barrels) added to the Plener Champagne Brut Grand Cru blend of 70% of Pinot Noir and 30% of Chardonnay. Bottled in April 2013. Dosage: 10.4 g/l of sugar.